Whether you’re starting up or well-established, your ability to accept credit cards with confidence is critical. You want to know that you’re protected with the highest standards of data security, and that you have the most technologically advanced credit card processing solutions available. Electronic Payment Systems Services offers you that peace of mind, backed by world-class 24/7/365 US-based customer service and support – and for many businesses, we can have you ready to accept electronic payments in two hours or less from the time you apply! When it comes to getting your customers checked out quickly, providing excellent customer service, and handling payments efficiently, there is no better partner for your business than Electronic Payment Systems. Our Electronic Payment Systems Services: Point-of-Sale (POS) solutions are easy to use, with a simple and intuitive user interface that makes it easy for you to train new employees AND keep your customers happy. Our iPad-based solutions equip you to excel in all aspects of managing your business. When a customer says, “will you take a check,” what do you say? 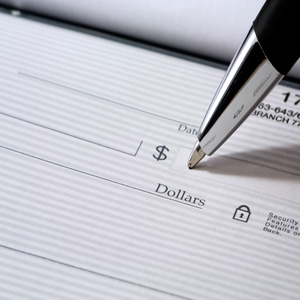 Does your heart sink a little as you brace yourself to take not only a check, but the risk associated with taking that check? No more. Electronic Payment Systems Services: Check Processing services, provided to you through ElectCheckPlus, give you the peace of mind you need to accept checks with confidence. We’ll protect you against accepting bad checks (and having to chase bad check writers), and you’ll get your cash quickly. Your website can be a great tool for attracting new customers. When it comes to your online presence, you want your website to look professional and to come up when a prospective customer types what they’re looking for into a search engine, right? So many of our Electronic Payment Systems customers asked for help with their websites and SEO (search engine optimization), we started offering those services through our subsidiary company, SEO Boost for Business. 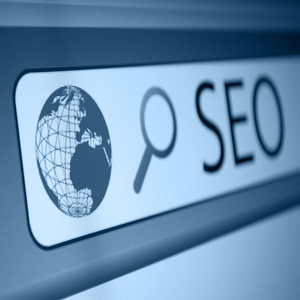 If you need help with your website, or you want to improve your find-ability in the search engines, our team can help you. with our $2000 value promotional offer of business solutions for you! There’s a BIG difference between a credit card processor and a Merchant Services provider, and you want to think through which will work best for your business. 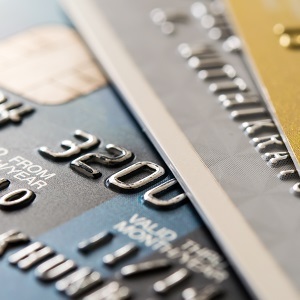 Credit card processors only process credit cards. That’s okay, if that’s all you will ever need. Merchant Services providers are concerned with your WHOLE business – every way you might want to accept payment, every way in which you want to build customer loyalty. Merchant Services providers offer many more services than credit card processors do, such as all of the services you’ll find on this page. 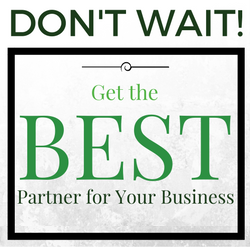 You’re choosing a partner for your business. What’s in your best interests – a partner who does one piece of your payment processing, or a partner who can do every piece of your payment processing? Selling high-ticket items and want to offer a time-purchase plan? Would you love to be able to offer your customers up to $5000 over a 90 day period with no credit check required? Our revolutionary alternative payment program, EZ Payment Plan is designed specifically to help you grow your business. Customers without enough discretionary funds at the time can now walk away with the products or the services they need – and you can make the sale you want. The best part? Your payments are guaranteed as long as you follow the program. Learn More. Sometimes, you just need extra cash to get over a bump in cash flow, and applying for a loan can be time-consuming, red-tape-filled, and frustrating. What if you could get the cash you need and pay it back with a portion of your future sales? With a Merchant Cash Advance from EPS, the repayment plan is flexible depending on your sales volume, there’s no collateral or pledge of your personal assets, and it can become an on-going credit line for your business. Learn more here. 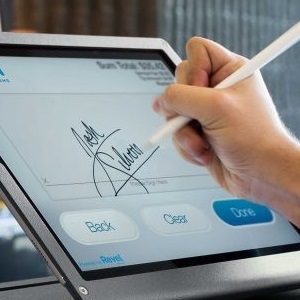 Whether you’re swiping cards or taking checks, you want the latest and greatest point of sale terminals and check readers at your fingertips. You want to count on their reliability, know that they’ll work for you, and know that you’re protected with the best security available. From standard swipes to mobile wallet and chip cards, our terminals and point-of-sale systems work with your business, helping you speed up and manage the checkout process while offering your special brand of customer service and personal attention. EPS has you covered. Want to chat? Don’t want a doodad to clip into your smart phone to take credit cards? No problem. EPS offers wireless payment gateways that allow you to use your regular PC or Mac, or a browser from any browser-capable device (including your smart phone and your tablet) to take payments and process them virtually, while still maintaining the highest standards of security and PCI compliance. Take payments anywhere, any time, on any device, without extra doodads to carry around. Get more information. Impress your customers with your products or services, and they’ll want to pass along the good feelings they experience by being your customer. You’ll raise your average sale by offering gift cards and loyalty cards to your loyal customers – and then watch them bring new customers to your business. Charge and fund them right through your credit card processing terminal. You can even reissue lost cards – no muss, no fuss. Whether you’re a small shop or a big organization, gift cards and loyalty cards can create a new revenue stream. Want to learn more? On the run? At a show or a conference? Out in the field doing a job? Ready to make some sales or collect a payment for services? Thought so… and you already know that the ability to take payments right through your smart phone gives you a freedom that was never available before. Just think – no more “do the job and take a check and hope it clears.” No more “send an invoice and wait for payment.” Take the credit card. We’re with you with the latest tech and the service to back you up. Learn more about mobile payments here.